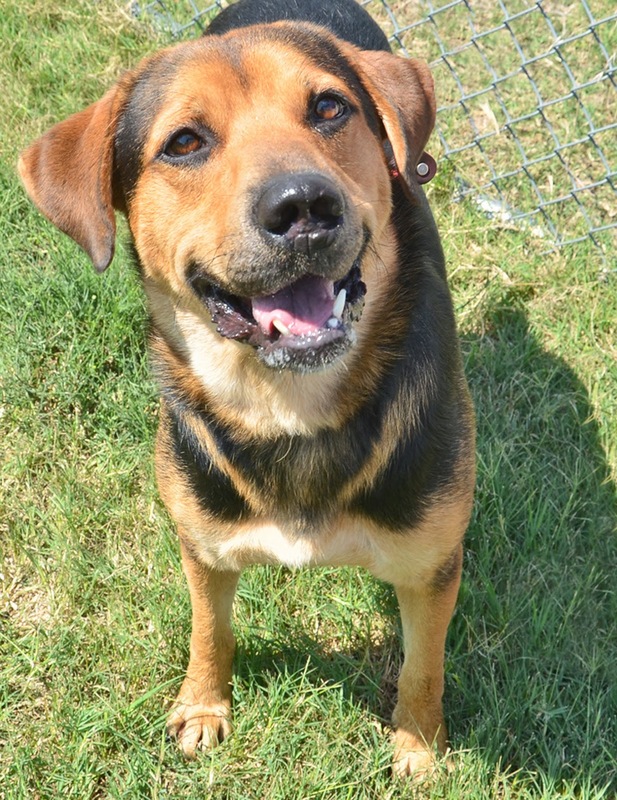 Porter is a three-year-old Shepherd/Hound mix. He's a healthy, handsome boy at 65 pounds! He's got great manners, and he's extremely well-behaved. Porter knows how to sit and shake on command. He's a fast-learner so it will be easy to teach him more tricks! Porter is very sociable and friendly. Look at his precious smile! Porter gets along well with other dogs. He also knows how to use the doggie door. He's crate-trained, housebroken, and neutered. He will make the perfect addition to any family! To find out how to adopt this happy guy, please click here.